The Wardens and Vestry of Trinity Cathedral are delighted to announce the election of the Reverend Bernard J. (BJ) Owens, IV as the Cathedral’s 12th Dean. BJ and his family hope to be at Trinity by Christmas. The Holy Spirit has led us to this moment and now is a time to give thanks to God and prepare for the Owens family arrival. Bishop Hollingsworth and the Search Committee presented their nominee to the Vestry on October 16, 2018. After a thorough and in-depth search process, emerging out of the thoughtful input of both Trinity’s congregation and the diocesan community, the Committee found BJ to have a passion for the Gospel and a joyful, contagious love for Christ. He is a spiritual leader committed to guiding others to a deeper relationship with God, and shares the Cathedral’s commitment to be an inclusive community of faith. BJ is compassionate, authentic, humble, and loving. He has enthusiasm for the future of Trinity Cathedral, is motivated by social justice and reconciliation, and has an inviting sense of humor. 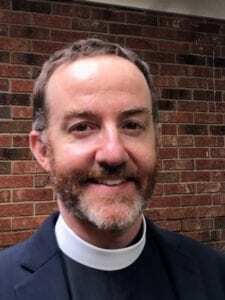 After meeting and interviewing BJ, and based on its own work and prayer, the Vestry unanimously elected BJ as the Dean of Trinity Cathedral on October 25, 2018. BJ has served as the Rector of St. Andrew’s Episcopal Church, Greensboro, N.C. since 2010, where he has grown the church’s family ministries, united the congregation’s gift of multiple generations, strengthened stewardship, and structured the church for long-term vitality. BJ’s wife, Jo, is an ordained Presbyterian minister. They have two children, Amelia (9 years) and Graham (5 years). 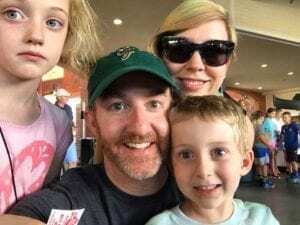 It is exciting to welcome the Owens family to our diocesan family, and we are confident that they will find in us a wonderful community of faith. We also want to take this opportunity to acknowledge and offer sincere gratitude to the Search Committee, chaired by David Cratty, for their steadfast commitment to this process. Long months of unending meetings, emails, conversations, and prayer led us each step closer to this moment. Please join us in thanking David and the committee: Jeff Baddeley, the Rev. Yvonne Conner, Beau Daane, the Rev. June Hardy Dorsey, Kristina Kovach, Brant Lee, Aretha McCreary, Eric Nilson, Patty Roberts, and Ute Vilfroy. If you would like to drop them a note, you can find their email addresses at https://trinitycleveland.org/search-committee/. Also, please keep the people of St. Andrew’s, Greensboro, in your prayers, as they say goodbye to BJ and his family, and prepare for their own search process. BJ will reach out to the Trinity Cathedral congregation in the next week or two by letter. Our Welcome Committee is busy planning a welcome event for the Owens family after they are settled. And an Installation and Celebration of New Ministry will occur in 2019 with Bishop Hollingsworth. More details to follow on dates and opportunities to serve in welcoming the Owens family.